Hello Coursera friend, this is my Digital Artefact ! A small one, I’m afraid (as you know it’s matter of time). I want to focus on the concept of privacy in our mixed (real/virtual) life. May I introduce you Jane ? Jane is a young « normal » women from the « digital native people ». She is urban, she works in middle size compagny. 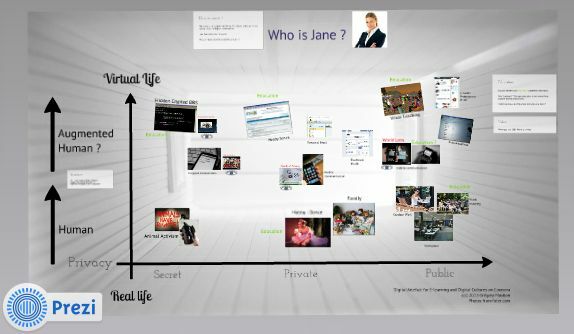 She have family, friends, hobby, digital friends … Below you can see her « augmented life matrix ». Is she augmented ? Is the secret part of her life really secret ? Give me you vision ! Article suivant Le curator est toujours mon ami(e) !